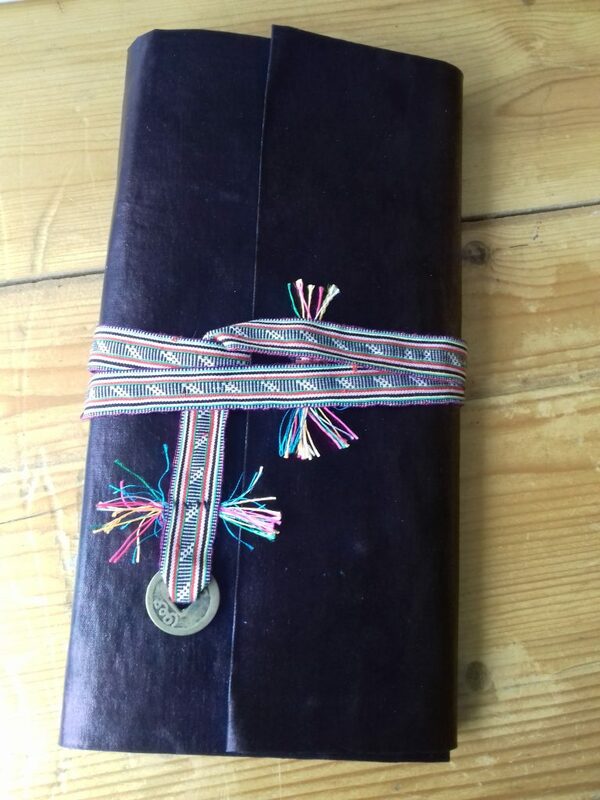 A Shu bao is a kind of handmade book with boxes inside. The boxes can hold sewing threads, papercuts and patterns for textile crafts. It was made and used by people in various area’s in China. Another name for it is a Zhen xian bao or chinese needle threadpocket. Sometimes other personal belongings, like family pictures are kept inside as well. 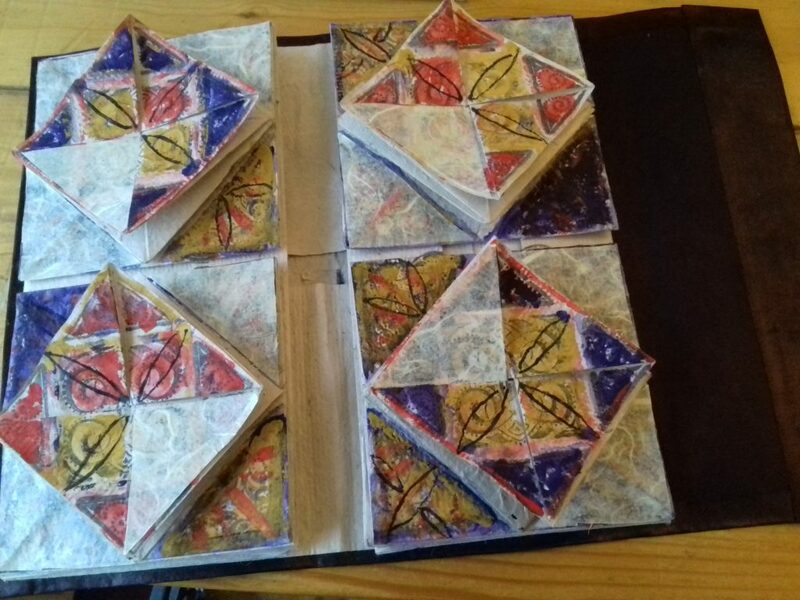 The book consists of multiple folded paper boxes on top of each other. When lifting the box on top, the box underneath opens up and so on. They fold flat again when closed. Often the inside is beautifully decorated and the outside is plain fabric. I first saw the books at the exposition Enchanting China in the museum of Rijswijk, about the crafts of the people of Miao and Dong in the south west of China. Nowadays the shu bao can be replaced by a basket, a bag, or just a book for example a paperback. Most interesting, I red in this blog in Dutch, that the Zhen xian bao should be buried together with the older woman to whom it belonged, so she can continue her needlework in the hereafter. Not so much is known about the history of these beautiful items, and until recently not so much attention was paid to them. 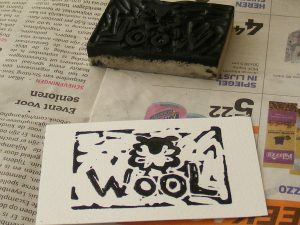 After all it was the textiles themselves that attracted the attentions, and not so much the tools. 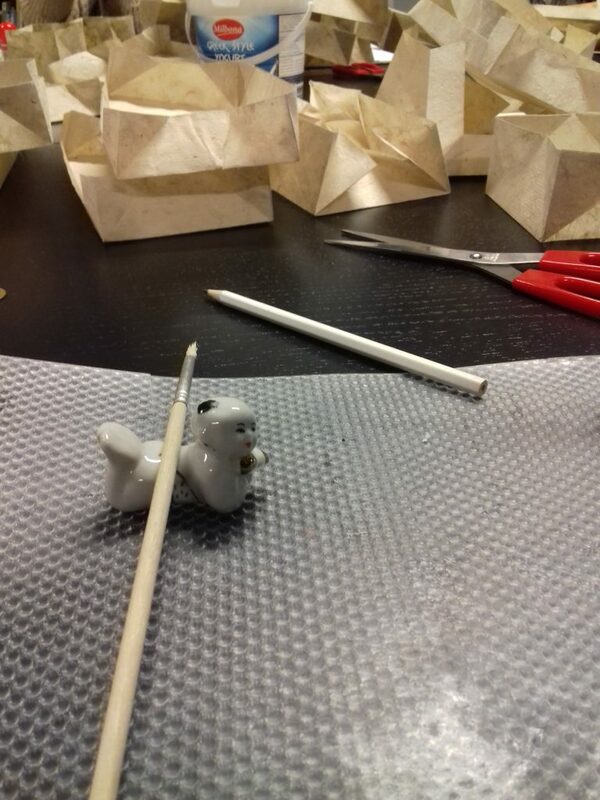 It appeared that Mieke Gorter, who collected the items in the exposition, teaches a class how to make a shu bao and I was intrigued. So, last week I made one! 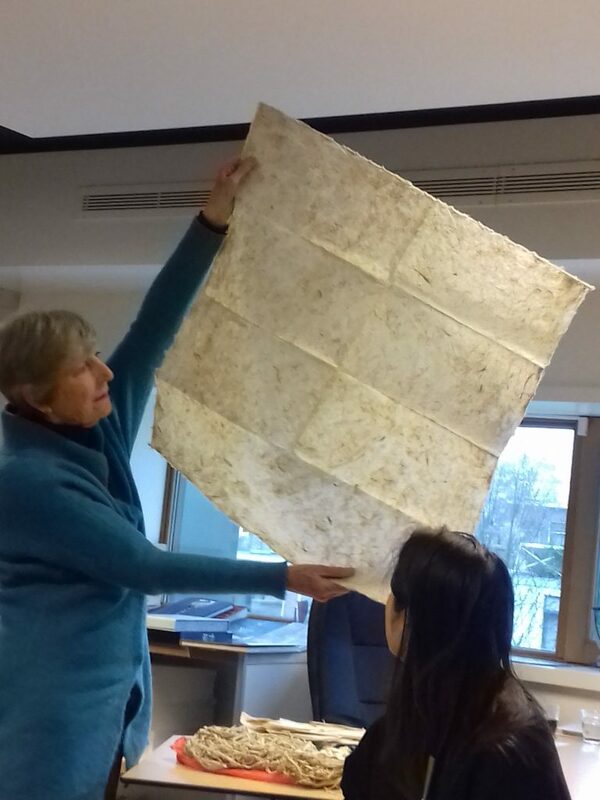 Mieke shows a sheet of mulberry paper. On the table you see the mulberrybark fibers, before they are pounded into a pulp. We used about one and a half sheet of the paper for our shu bao with 15 compartments. 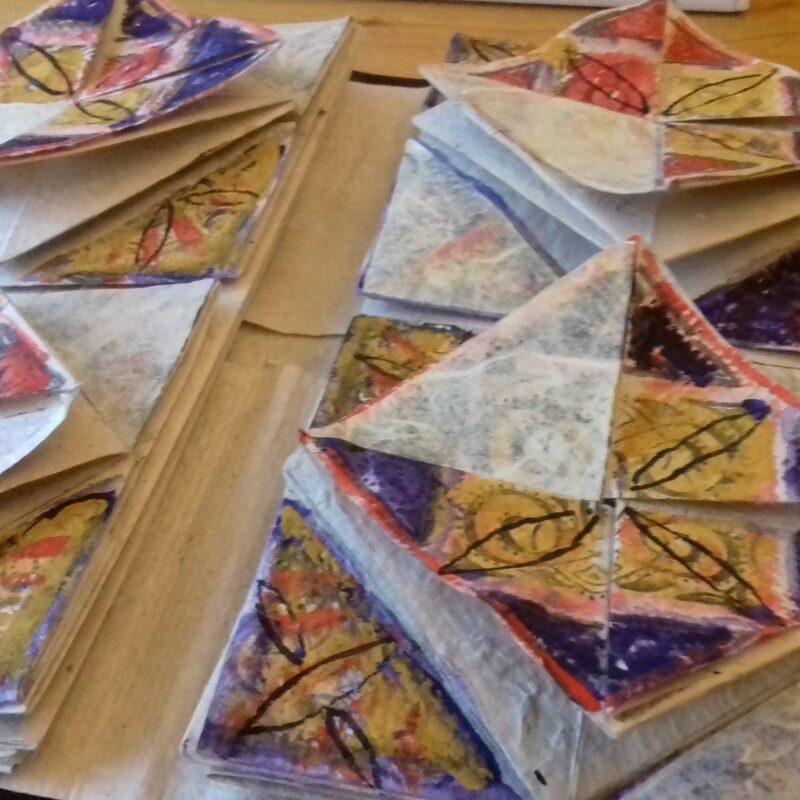 The boxes are cut, folded and glued in various ways. More and more boxes occupied the table.. 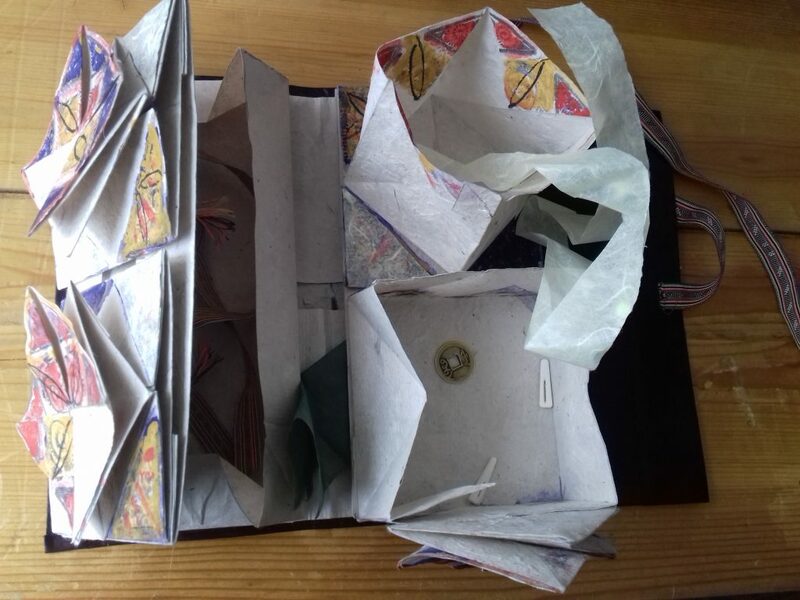 The boxes are then glued in place, and a cover of cotton fabric is added. Shortly said.. When at home I got a bit carried away with the decorations. Stamps, watercolor, a marker and some more paper were needed before I could stop! 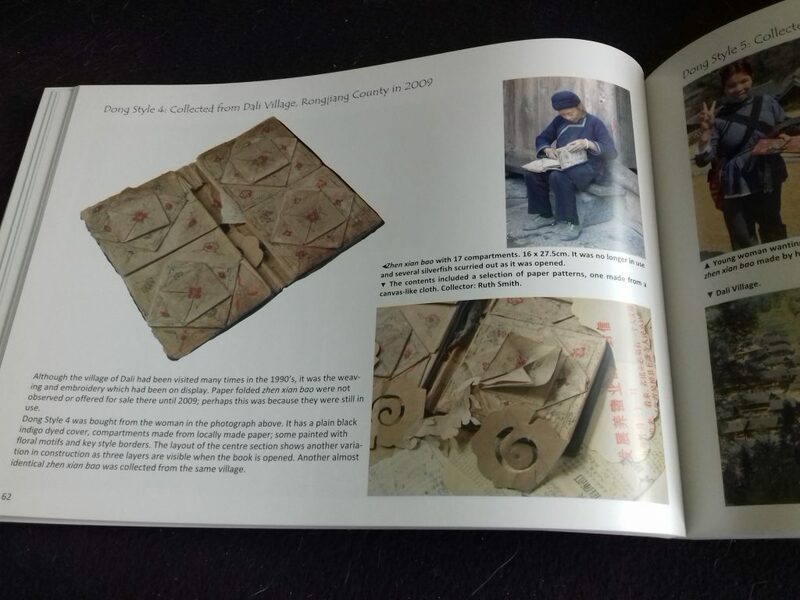 There is more to know about the Zhen xian bao in the book “A little known Chinese folk art, Zhen xian bao” by Ruth Smith and Gina Corrigan. Thank you Mieke, it was a memorable day!